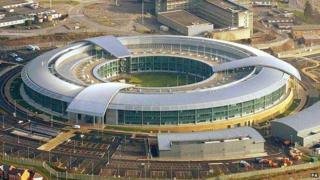 Intelligence agency GCHQ has accredited six UK universities to teach specialist master's degree courses to future internet security experts. The degrees form part of the UK's cyber security strategy published in 2011. The strategy recognised that education was key to improving defences against hackers and online fraud. Cabinet Office minister Francis Maude said internet cyber security was a "crucial part" of the government's long-term plan for the British economy. He said the courses would help to make the "UK one of the safest places in the world to do business online". He said: "Through the excellent work of GCHQ, in partnership with other government departments, the private sector and academia, we are able to counter threats and ensure together we are stronger and more aware." UK universities were invited to submit their master's degree courses for certification. The universities now running GCHQ-approved programmes in cyber security are Edinburgh Napier University, Lancaster University, the University of Oxford and Royal Holloway, University of London. GCHQ has also given provisional accreditation to Cranfield University's cyber defence and information assurance course, and the University of Surrey's information security course. A spokesman for GCHQ said the universities "were judged to provide well-defined and appropriate content, delivered to the highest standard".